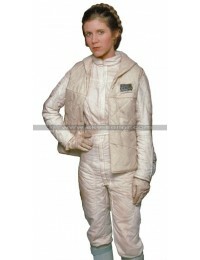 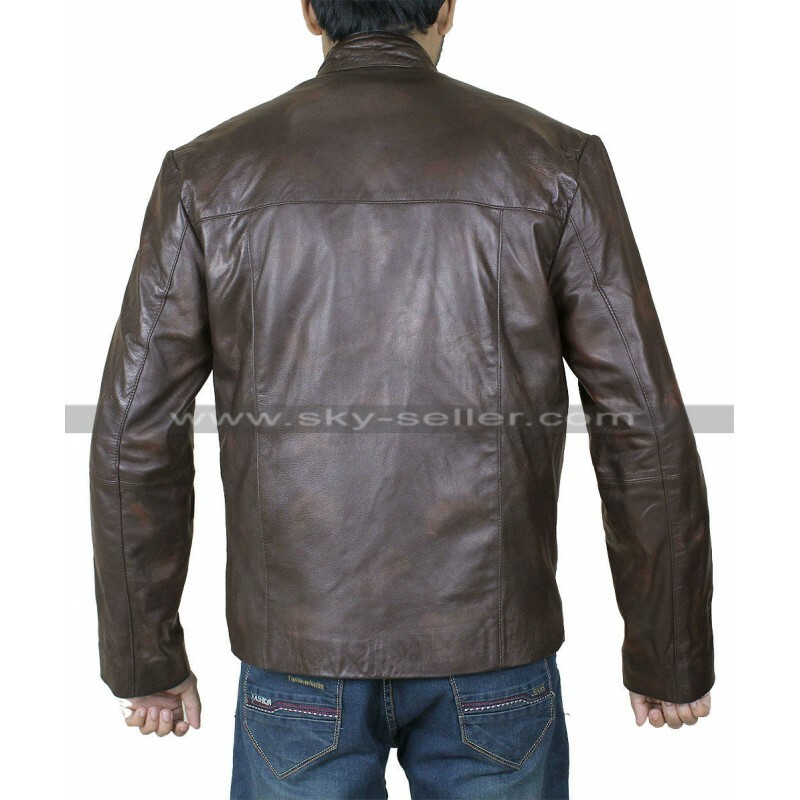 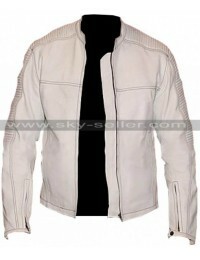 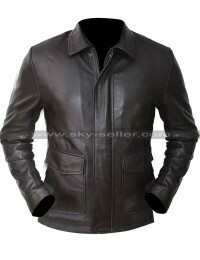 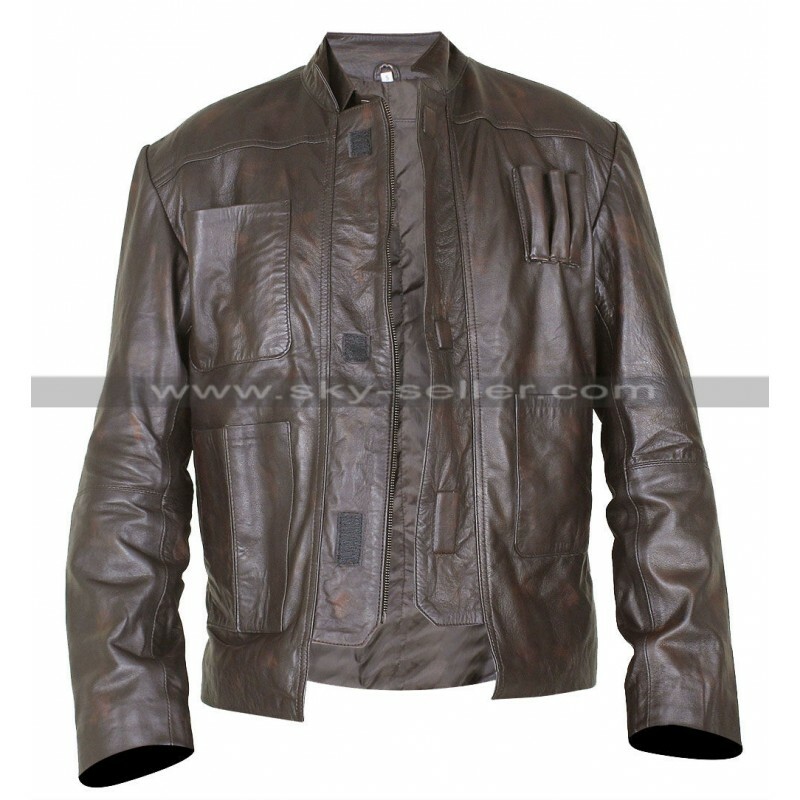 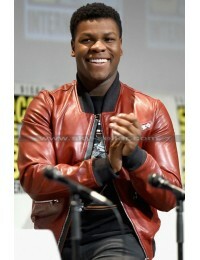 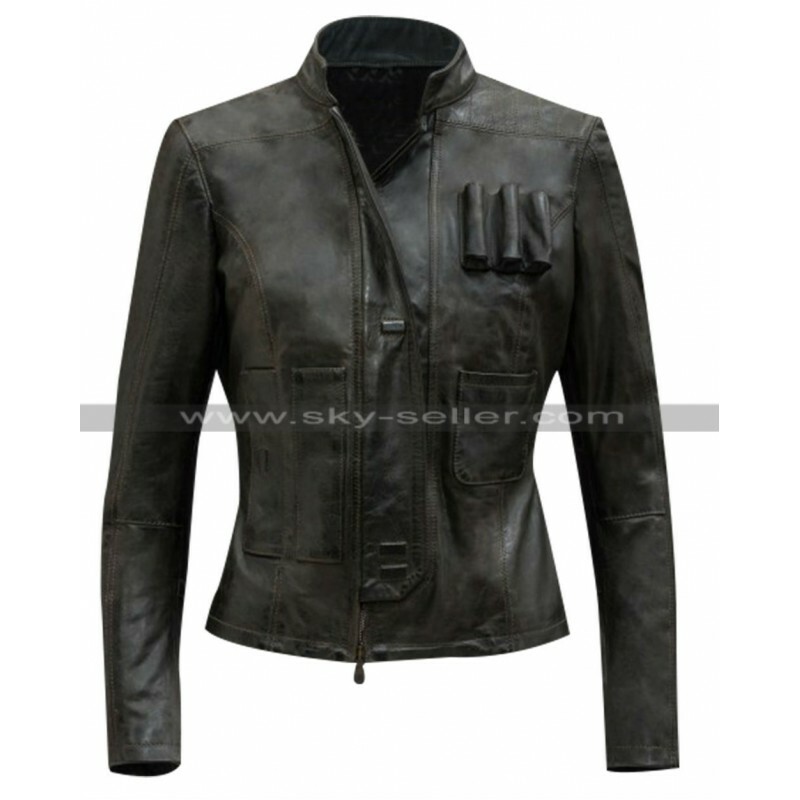 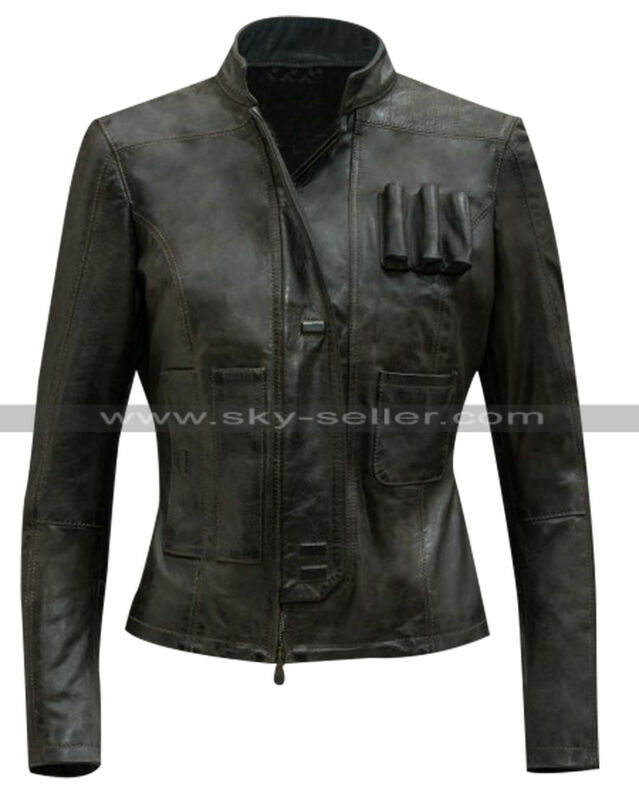 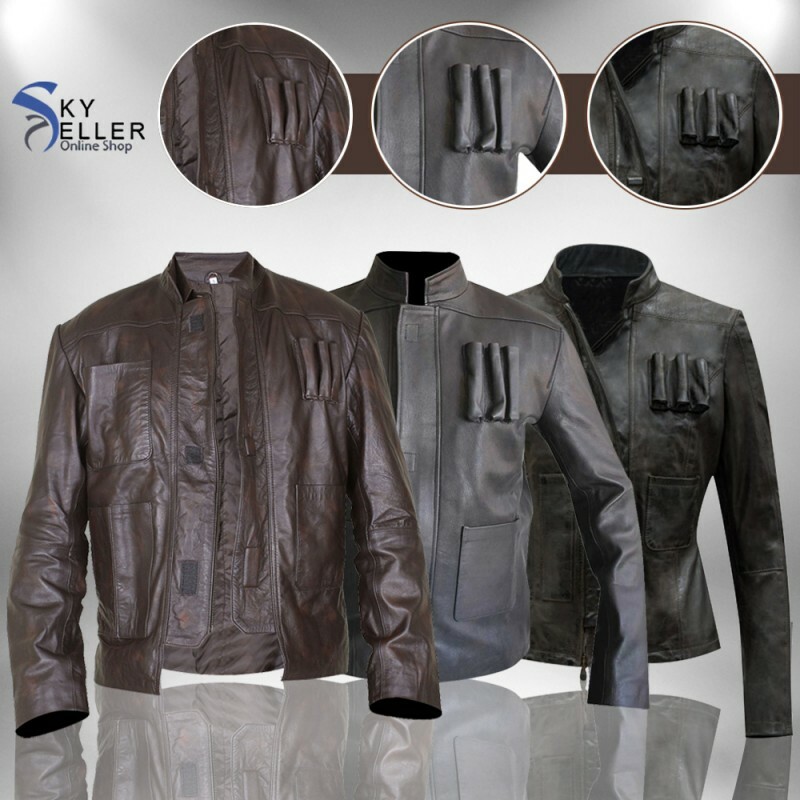 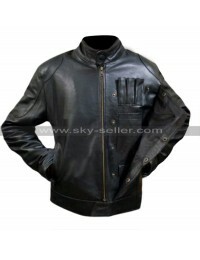 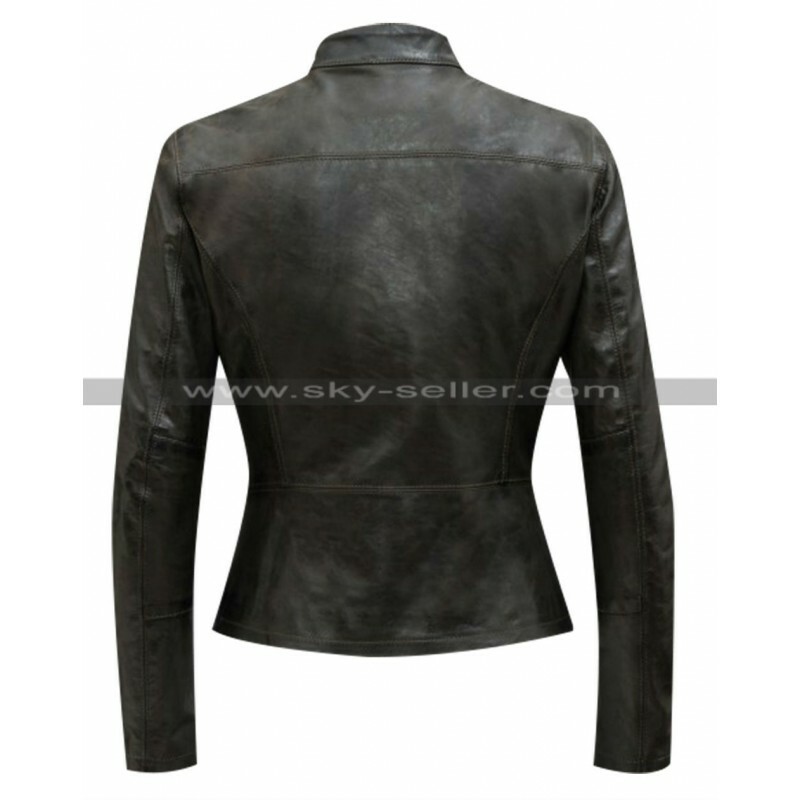 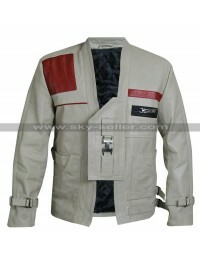 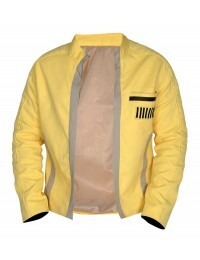 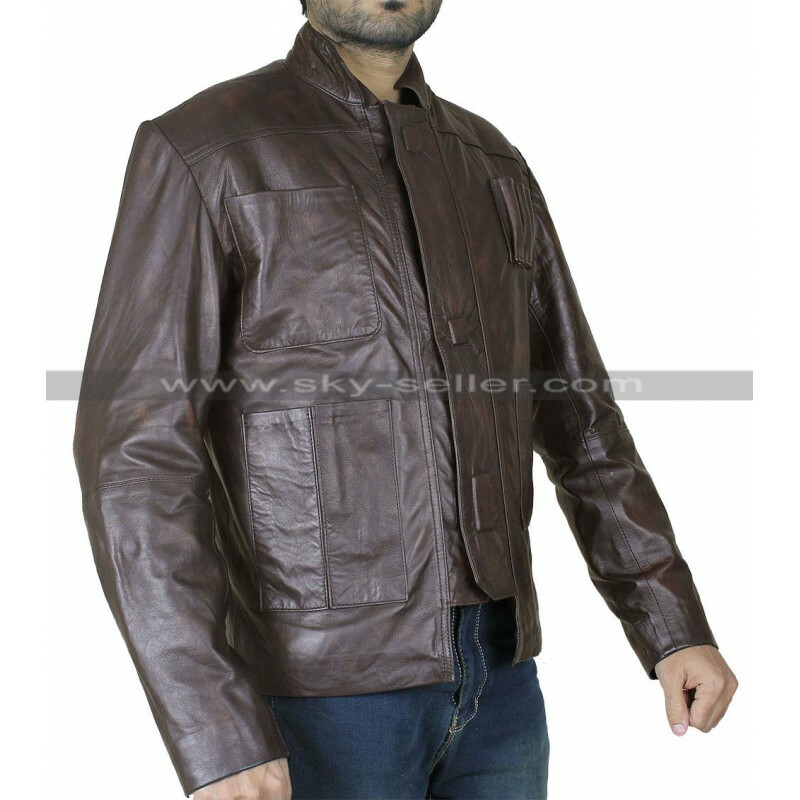 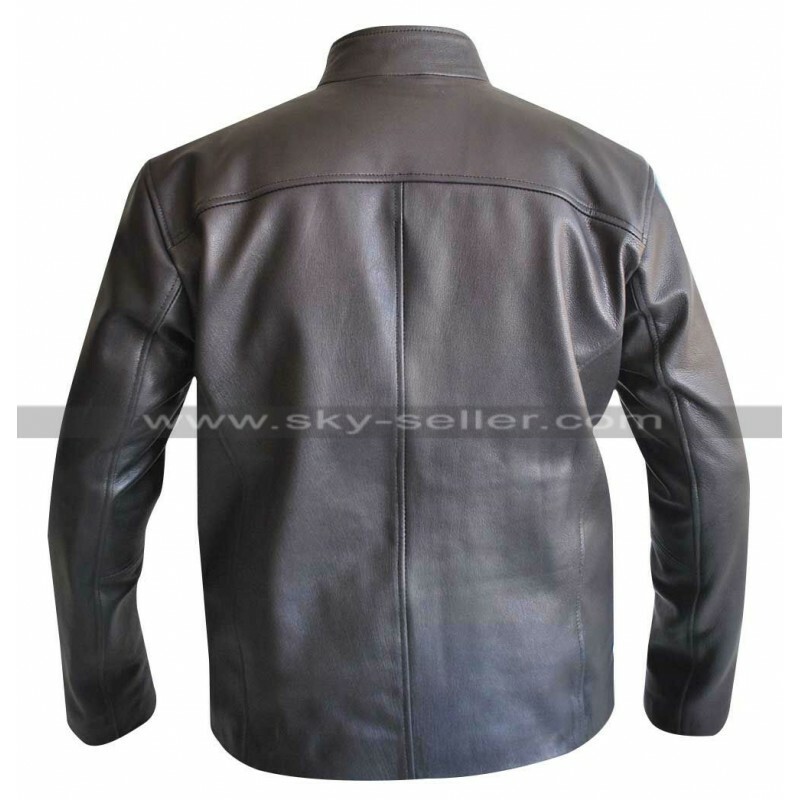 The jacket is the copy of what Harrison Ford in the latest Star Wars 7 movie, as he was characterizing as the Han Solo. 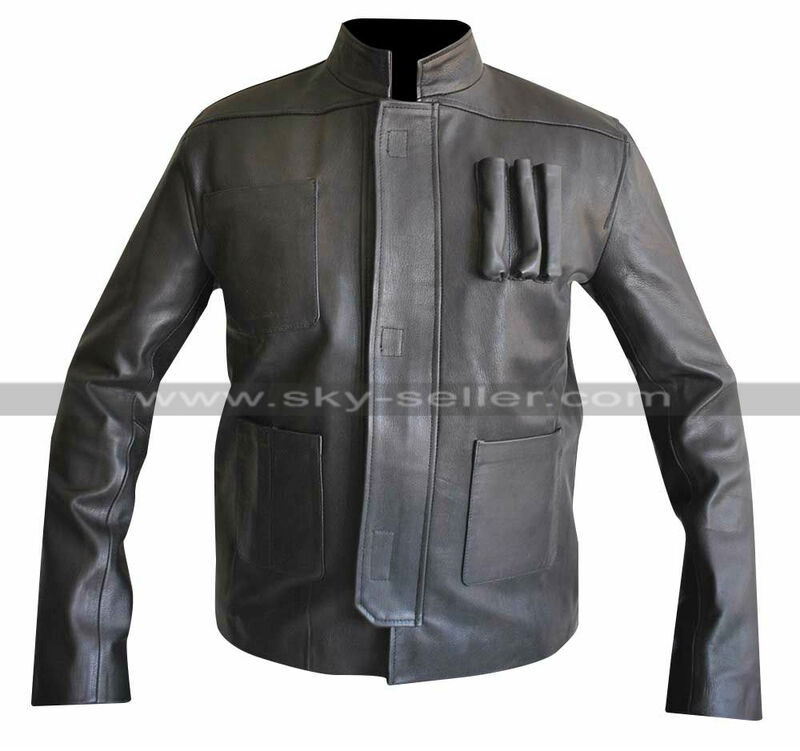 It is the desire of every Star Wars fan to acquire this replica to complete the collection as the character is so integral and meaningful to them. 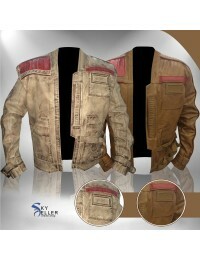 The design is so unique that the one who is unfamiliar with the movie, cannot ignore it and should try it. 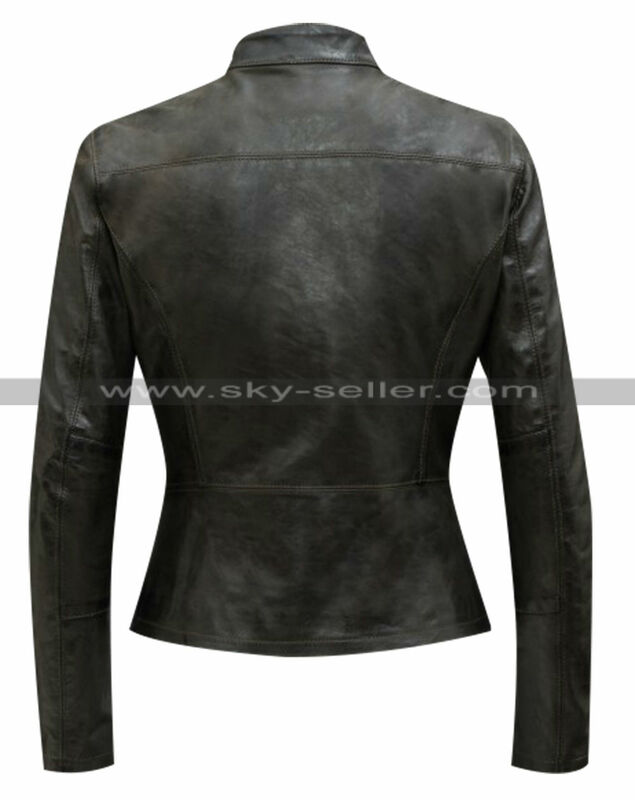 Glossy leather but gives a classy style to wear. 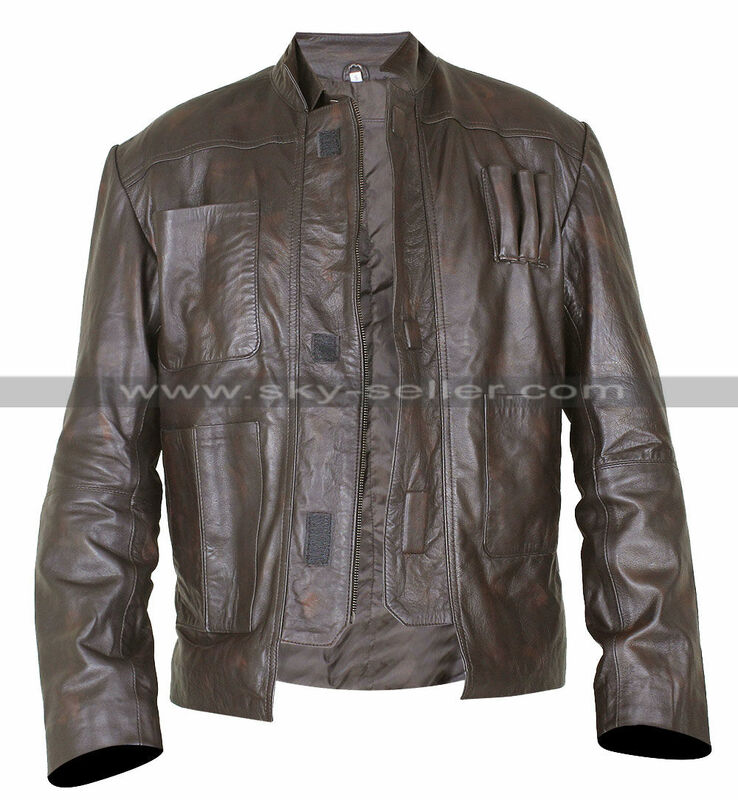 The jacket has the 3 bullet emblem on the chest area which gives the hell of a look to it. 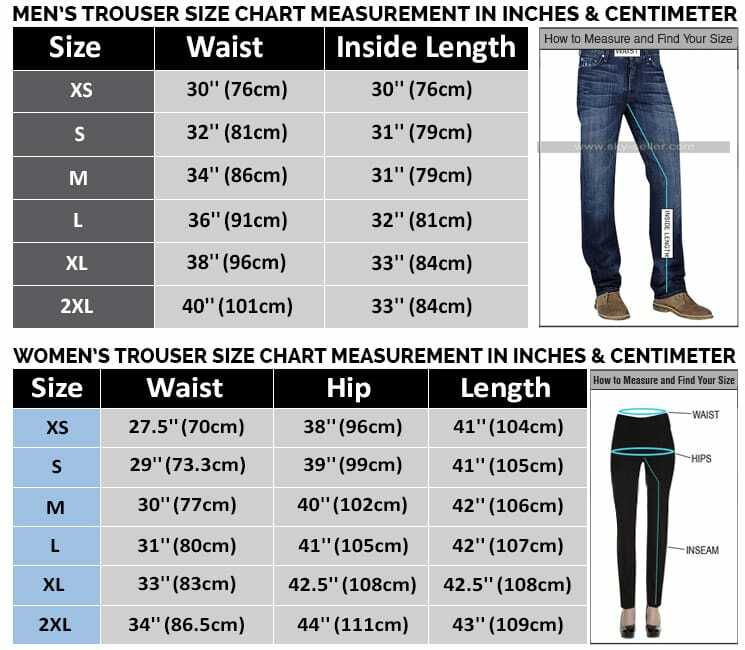 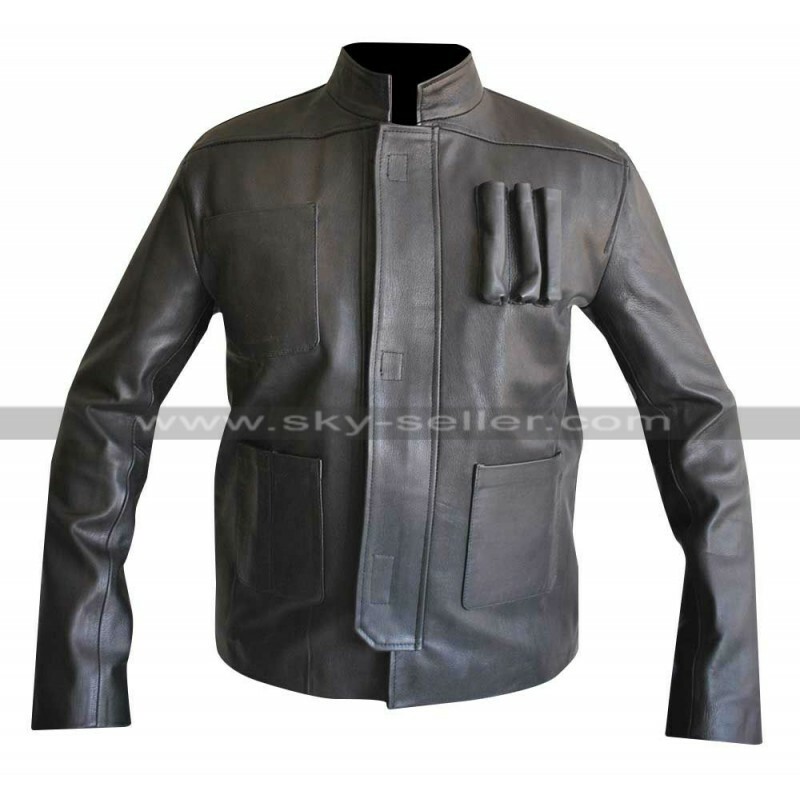 There are three simple pockets, two on the right side and one on the left. 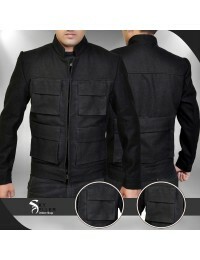 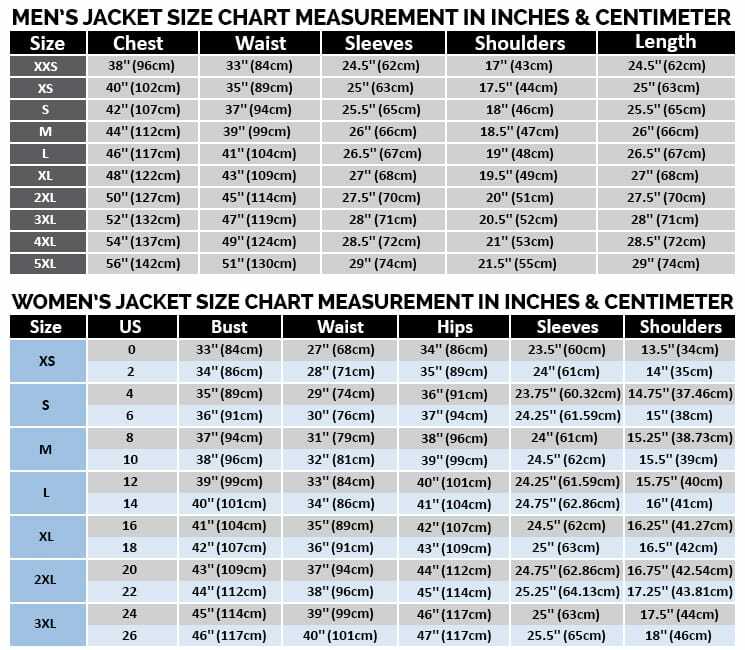 The collar of the jacket is like the shirt style as the jacket is simple and quite light weighted to wear. 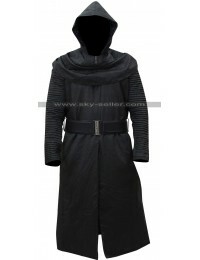 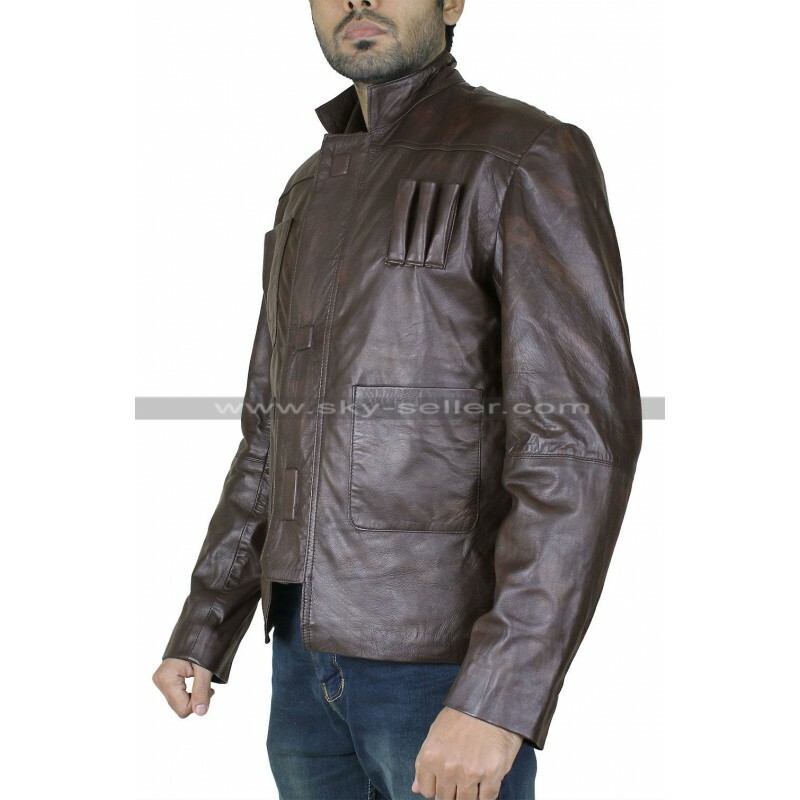 Its time to experience the Star Wars Force Awakens world, grab this jacket and you are half way there.